So here we go again, another formula for success. This time in the package of three factors-a feeling of superiority, insecurity, and impulse control. Oh, and if you happen to be part of a specific cultural or ethnic group, that helps too. 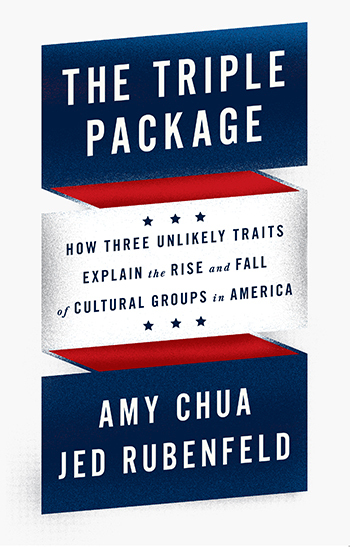 In the newest book from Tiger Mom, Amy Chua and her husband, Jed Rubenfeld, we have an exploration of these three topics and how they equate to success in America. My initial concern is that, according to Chua and Rubenfeld, success seems to be defined only through the lens of academic and financial success. As an educator of all kids, I simply can’t define one’s life success solely through the lens of financial or career gain. As an educator, whose lifetime net worth is far from top tier, am I determined to be unsuccessful despite anecdotal and transcriptional evidence to the contrary? What about the great artists and musicians of our time who perhaps struggle financially but create or perform great works of art? What about our most successful Olympic athletes who achieve world championship success yet work at Home Depot to afford the bills. What about a man from Georgia, who became a preacher, who would change the world? What about families who sell everything, move to a foreign country, and work to make a difference in world poverty? Are these people not successful in their own right?! From the perspective of a teacher, I want my kids to know that success comes in more ways than money. Yes, financial security is vitally important. However, some of the richest people in the world count their success in many different ways. I want them to know that hard work is important, as is impulse control, humility, physical and spiritual health, play, joy, and resilience. There is no magic button to success–but there are many roads. For a bit of humor…in case you missed this gem from 1987, here is a hoot of a look at rising from the bottom of the food chain to the top.